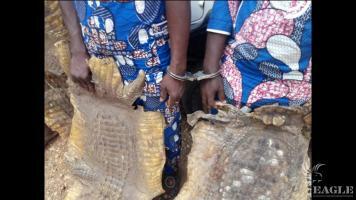 Two arrested with 42kg pangolin scales. The two are specialized traffickers for years. They tried to resist the arrest and escape. The initiative and activism of Egbe Anna to jump after them and of Aime and Serge saved this operation and they are behind bars. 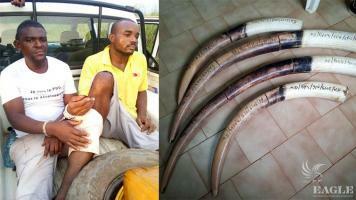 A trafficker arrested with 4 elephant tusks. Good work of Mesange leading in the field Perrine’s PALF team with the Congolese authorities. 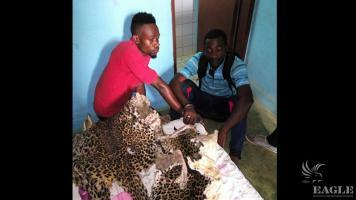 2 traffickers arrested with a leopard skin and 3 crocodile skins. Good work of AALF-B with the authorities. 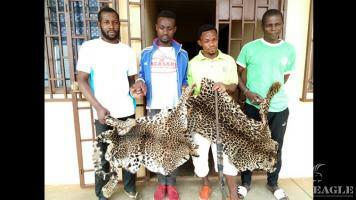 4 traffickers arrested with two leopard skins. Good work of Conservation Justice with the authorities. 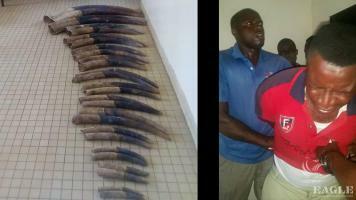 7 traffickers arrested with 37 tusks! Perrine and her PALF team in a big operation with the Gendarmerie. 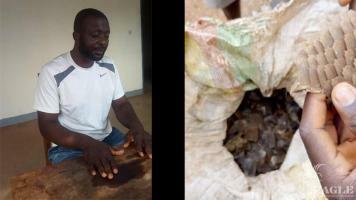 The criminal ring trafficked the ivory from Gabon. Imagine the slaughter this ring has generated for years, this seizure alone represents 19 killed elephants. 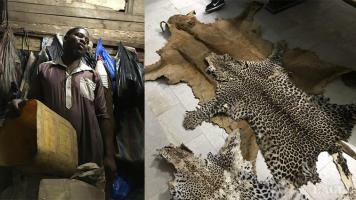 A notorious trafficker arrested with a lion skin and two leopard skins and many more skins. After being on the radar for 1.5 years, Abdoulaye Sanogo has finally been arrested. 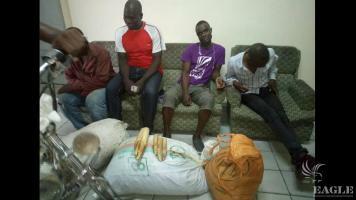 4 traffickers arrested with 2.5 sacks of pangolin scales and 5 hippo teeth. 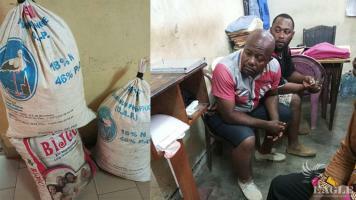 The team stayed in Douala for this second arrest operation in two days ! 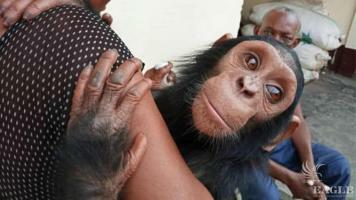 2 arrested and baby chimp rescued in Douala. Serge was leading the LAGA team with Aime, Loveline, Gilbert and Anna that is taking care of this baby till he is with the Sanaga Yong Sanctuary for his lifetime care. He is strong and active. The man claimed to have sold gorillas and chimps in the past. 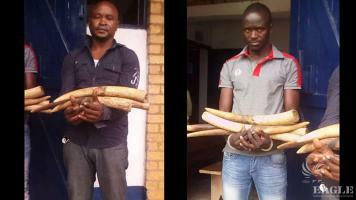 2 traffickers arrested with 4 tusks. Good work of Conservation Justice with the Gabonese authorities. 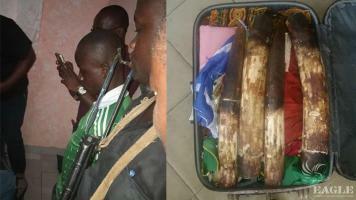 3 traffickers arrested with 9 tusks of very young elephants. One is a military man used the impunity of his uniforms to cover the crimes. He is the cusin of the head of the prison he is supposed to be locked in. Perrine’s team continues to battle through the many challenges of corruption.